By now, you undoubtedly have heard that there have been some major changes to the federal income tax system. If you run a nonprofit, you might have heard some pretty scary things about how these changes will affect your donations for the coming years. It is true that these changes will affect individuals, corporations and also nonprofits. It is estimated that the changes to this bill could result in as much as a $20 billion reduction in charitable contributions. In this article, we will discuss how these changes may impact your nonprofit organization and what you can do to make sure your nonprofit continues to thrive. Under the old tax laws, individuals who itemized their deductions could deduct charitable donations up to 50% of their Adjusted Gross Income (AGI). Under the new laws, individuals can deduct charitable contributions in an amount equal to 60% of their AGI. On the face, this would seem like positive change for nonprofits and in some ways, it just might be. This particular change is meant to incentivize large donors to make even more charitable donations. 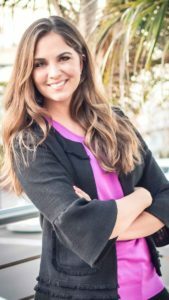 The problem for nonprofits is the fact that fewer people are likely to choose to itemize their deductions and instead will take the standard deductions as the standard deductions have increased. Remember, you can only take a deduction for charitable contributions if you select itemized deductions and not the standard deductions which are set to increase. Some think that the number of people who itemize their deductions will drop from nearly 30% to just 5%. So this will mean that people who were making charitable donations to your nonprofit for the purpose of taking a deduction on their tax returns may not do so. But guess what? A study done last year by the Institute of Policy Studies found that in 2016, Americans gave $373 billion to charity. According to Chuck Collins with the Institute, this increase in charitable contributions actually came from wealthy donors and their private foundations. In fact, charitable donations from lower and middle-class Americans has declined by about 25% in the past 10 years. If this trend in charitable giving continues, the drop in charitable contributions might not decline as much as expected. Wealthy donors will actually be able to increase their charitable donations based on the increased deductibility limits. It is important for you to take a hard look at where your donations are coming from. Are most of your donations coming from the general public? Do they consist of a large volume of small donations or do you have a few large donors? Do you get funding from grants or private foundations? If most of your donations are coming from the general public, perhaps you may see a decline in charitable donations. However, if you rely on donations from large wealthy donors or private foundations, you might actually see an increase in donations. It is true that some donors make charitable contributions for the purpose of taking a tax deduction. But many donors donate to a charity because they truly believe in the cause and donating makes them feel good. The fact that a donor may get a deduction on their tax return is an added bonus but it is not always the reason someone donates. Many people donate to their favorite charitable causes even though they currently choose the standard deduction and are not eligible for a charitable deduction. The charitable deduction might just be the chocolate fudge on top of the ice cream sundae. Sure, ice cream tastes better with chocolate fudge but if it is not available we still want our scoop! 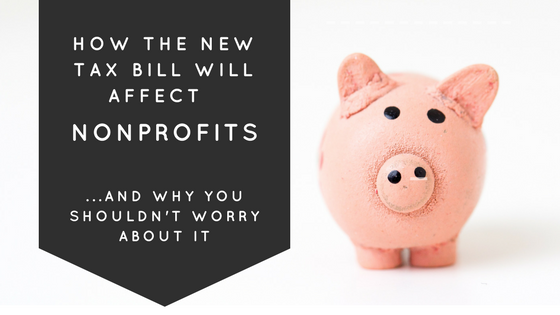 Nonprofits should stop worrying about the changes to the tax bill and instead focus their efforts on clarifying their nonprofit mission. Find a way to tug at the heartstrings of your donors. You can do this by letting your donors know exactly where their donations will be going and how an increase in donations will help further serve your mission. Plan unique fundraisers that attract new donors. Reach out to your current donors and let them know how much you depend on their support. Look for grants from private foundations that might increase their funding based on the changes to the tax laws. Finally, always keep in mind every fundraiser’s favorite quote: “I’ve learned that people will forget what you said, people will forget what you did, but people will never forget how you made them feel.” – Maya Angelou.